Broken Down AC Systems: Can They Be Repaired? There’s no easy way to diagnose an air conditioning system without having a technician come and take a look. When you experience problems with an air conditioner, such as trouble getting the right amount of airflow through the vents, it could be anything from a dirty air filter to low refrigerant to dilapidated ductwork. So what about when an air conditioner is completely broken down? Shouldn’t the problem be obvious? A professional should be able to quickly diagnose the problem and determine whether the air conditioner needs replacement. Often, this isn’t the case! 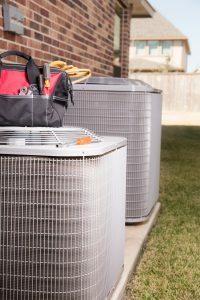 Today, find out what a broken down central air conditioner may indicate and see why it’s so important to call in technicians to solve the case! Posted in Air Conditioning | Comments Off on Broken Down AC Systems: Can They Be Repaired? Think of the last time you dealt with a power outage. It was likely a major hassle, something that made it difficult to get through the day or night. In the worst-case scenario, you may have had to leave home in order to go somewhere with air conditioning or the ability to run certain devices, like lifesaving medical equipment. 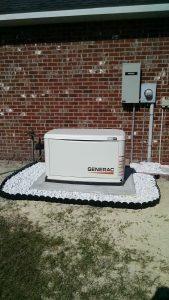 When you have a generator installed on your property, you’ll never have to worry about this again (provided it’s properly maintained and replaced when needed). Whole-house generators protect your home and your family when a storm or disaster makes its way to your town. Learn more about whole-house generators, portable generators, and more in today’s guide.